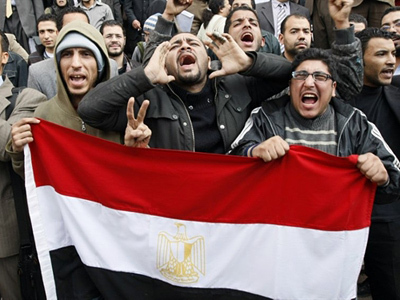 The deadline set by protesters in Egypt for the country's president to step down has passed. The leadership of Egypt’s ruling party has resigned, but there is no word from President Mubarak. On Sunday, Vice President Omar Suleiman met for the first time with the opposition groups, among them the banned Muslim Brotherhood, to discuss the public's right to protest safely and the possible departure of the president. A decision has been reached to establish a committee to investigate constitutional reform. This is in light of the government’s stance that Mubarak cannot step down until the constitution is dealt with, despite protesters’ demands that he quits immediately. The committee has been given one month to complete its work. Until now, the opposition groups had said they would not meet with the government until Mubarak steps down – which he has not yet done. And the government said there would be no dialogue until opposition leaders take their supporters off the streets – which they, too, have not yet done. Now there seems to be a desire on both sides to reach some kind of middle ground. The Muslim Brotherhood has announced that its position has not changed, referring to the meeting as “talks” and not negotiations. They said they wanted to talk to the government to see what its position was and how much it was prepared to meet them halfway. They also said they wanted to put the demands of the people across. There were others at the meeting, among them leaders of secular parties, independent legal experts, and a representative from ElBaradei, who had indicated he was prepared to head an interim government. There were numerous issues on the table, including the dissolution of parliament, the creation of an interim government and setting up a committee to investigate the violence of the past few days and bring people responsible for that to book. The right for peaceful demonstrations and the right for journalists to work freely have also been discussed. 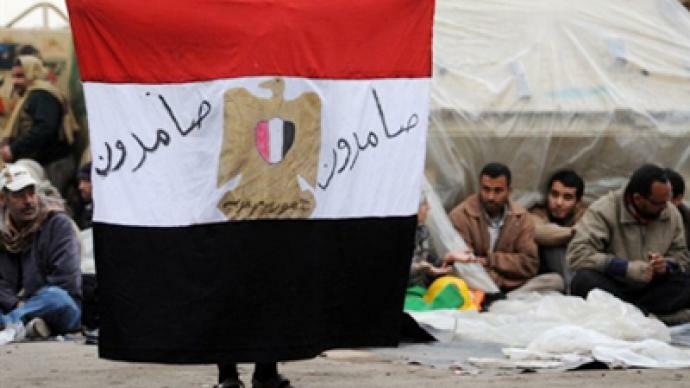 However, many in Egypt do not really believe that the negotiations are going to yield anything, at least not immediately, and said they will continue their protest. They are not that afraid of violence, they are more preoccupied with the uncertainty of what comes next. Thousands of protesters have remained in Cairo’s central Al Tahrir Square since Friday’s mass demonstrations demanding Mubarak’s resignation. An Egyptian army general came down to the square in an attempt to persuade the protesters to go home and to stop hampering military efforts to remove barricades, but it had only a very moderate effect. 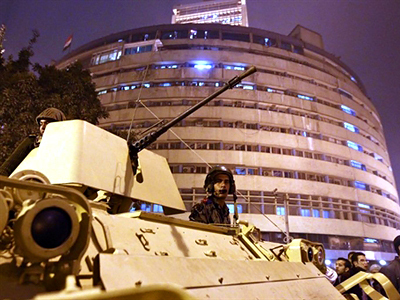 The army, on the other hand, was still building up its presence in Cairo all of Saturday. The message people have been putting out is that this is a people’s revolution, this is a democratic revolution. Sunday has been named the “Day of the Martyred” by the protest organizers. People have come together to pray for those who died in the clashes. However, away from Al Tahrir Square, life slowly returned to normal. Banks and shops were open; the traffic was back on the streets. So far, there has been no information about violence on the streets of Cairo. 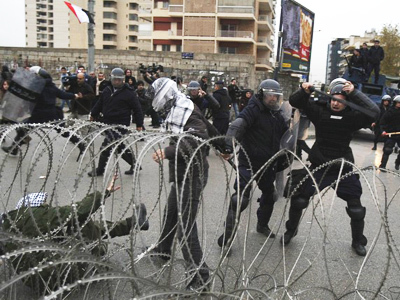 Friday was named “Departure Day,” the day that protestors had hoped Mubarak would step down. Despite their wish not being granted, the demonstrations went off peacefully, and this created the right atmosphere for opposition groups and members of the government to meet. According to reports, Egyptian Prime Minister Ahmed Shafik did meet some members of the opposition on Saturday. He called on the opposition to unity and find common ground with the government. The opposition leaders still say they will continue with their big protest. Nevertheless, they are said to have begun calling on people to return to some kind of normality, for people to return to work. A new opposition party has been formed by the demonstrators. It includes 10 people, among them Mohamed ElBaradei, former director general of the International Atomic Energy Agency, and representatives of the Muslim Brotherhood. Their demands are quite simple: they want Mubarak to resign and some mechanism to be put in place for a gradual transition to free and fair elections. By Saturday evening, state television announced that the leadership of Egypt's ruling party, including party secretary general Safwat el-Sharif and Gamal Mubarak, the son of the president, resigned on Saturday as a result of the protests, the Associated Press reported. The president was reported by state media to have met his top economic ministers, including the prime minister, finance minister, oil minister and trade and industry minister. But there was no word from Mubarak himself; he addressed the nation neither on “Final Friday” nor on Saturday. The whole situation seems to have turned into a waiting game. The focal point of the protests is Al Tahrir Square in central Cairo, but simultaneous demonstrations are also taking place in Giza, Alexandria and other cities. Egyptian officials say that 11 people have been killed in nearly two weeks of violence. Human rights groups, aid agencies and journalists put that figure at close to 300. According to unconfirmed reports, there was an assassination attempt on the country’s newly appointed vice president, Omar Suleiman, during which two of his bodyguards were killed. 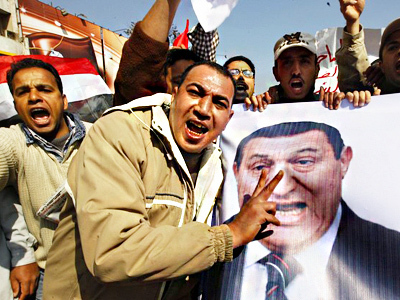 Suleiman is widely viewed as the person who will replace Mubarak. Suleiman is known for having evoked a lot of anti-foreign sentiment when he went on Egyptian state television and blamed foreign elements for instigating the violence of the past few days. On Saturday morning, there were reports of an explosion at a pipeline that supplies Israel with some 40 percent of its natural gas. Egyptian state television first blamed unnamed foreign elements for the blast, but the incident has since been attributed to a gas leak, according to AP. However, Israeli radio reported that the attack was on a different pipe, one that goes to Jordan. 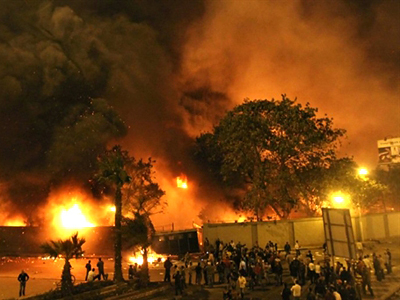 It has been calculated that the crisis has cost Egypt 3.1 billion US dollars. Whatever the case is, the current unrest may spill outside of the country and destabilize the rest of the region. Concerns are also being raised in Israel that weapons may be smuggled to Gaza at this very moment, and may later be used against Israeli citizens. The debate in Egypt is not so much whether or not Mubarak will go, but when he will go and what will happen after he goes. 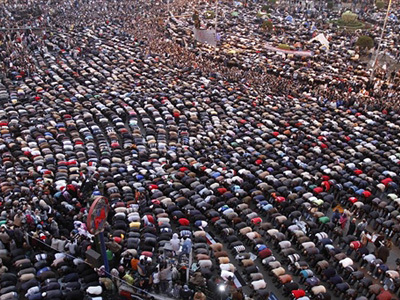 It would be only natural if strong opposition like the Muslim Brotherhood would take advantage and grab power, directly or in coalition with some other force because “Muslim parties are very much an integral part of Egypt’s political structure … one of the most organized parts of Egypt’s society,” and it would be better than the 30-year rule of one man. ­Despite the resignation of the ruling party, William Blum, an author, historian and outspoken critic of US foreign policy, is very skeptical about any serious change happening in Egypt. Blum also does not believe that the US or EU want to see any changes in Cairo. The only driving force to launch the democratic process could be public opinion. “The longer these protests go on and the more publicity they get in the world media, the more American and European leaders will be forced to make some concessions, but only if they are forced to,” Blum added. ­The latest word coming from the Egyptian Prime Minister Ahmed Shafik is that the September election will not be cancelled. According to the country’s law, the president needs to stay in power if any changes to the constitution are to take place. He says that there will be no early exit for Mubarak. Therefore, the most likely scenario in this stalemate-like situation is that vice president Omar Suleiman will take over, but only after the September election.